Hoyt Buck, a young apprentice blacksmith from Kansas, made the first Buck knife in 1902. He moved to San Diego in 1946, and with his son, Al, he set up a small knife factory in the backyard. The company, known as the Buck Knife Co., conducted much of its business by mail order. In 1964, the 110 Folding Hunter was introduced. The slim, folding design changed the knife world and established Buck as a top brand. 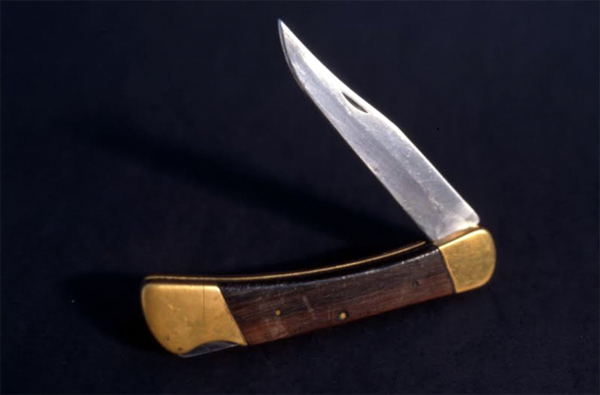 By offering a locking blade in a svelte, fold-it-closed package, Buck’s Model 110 Folding Hunter soon was found in the pockets and packs of millions of people around the world. It was popular because of a folding-utility design that was made for hunting and general use. A new kind of locking mechanism held the blade solidly in place while working with the edge on any task. It functioned like a fixed-blade knife. But when finished with a job, a user could fold it down and put it away, no sheath required. This year marks the knife’s 50th birthday. Amazingly, the 110 Folding Hunter is still the company’s top-seller. More than 15 million have been sold, according to Buck. You can buy the wood-handled, steel blade knife at Cabela’s for $42.99. To celebrate the knife’s longevity and popularity, Buck this summer released the 110 Folding Hunter 50th Anniversary Edition. Made in the USA just like the original 110 Folding Hunter, the Anniversary Edition knife is on sale for $73 at BuckKnives.com as well as at retailers around the U.S. It comes with hardwood handles, brass bolsters, and it has a 3-3/4” 420HC stainless steel blade. 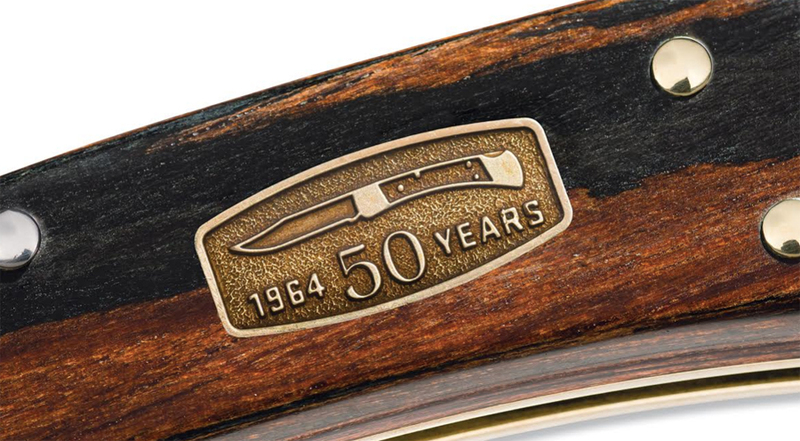 An anniversary medallion on the handle and a custom blade stamp commemorate 50 years of an enduring knife design. All seasons covered. From hunt/fish trips to gear.